Prototype: Swiss Federal Railways (SBB) class Ae 6/6 electric locomotive as the Ae 610. 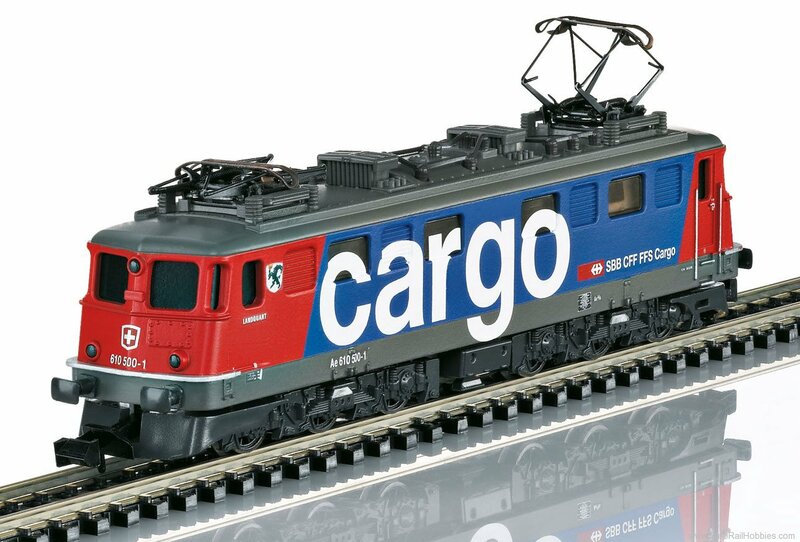 Version in fire red / ultramarine blue basic paint scheme for SBB Cargo, with the city coat-of-arms for "Landquart". The locomotive looks as it currently does in real life. Model: The locomotive has a built-in digital decoder with the digital formats DCC, Selectrix, and Selectrix 2. 4 axles powered. Traction tires. The headlights change over with the direction of travel and can be controlled digitally. Length over the buffers 115 mm / 4-1/2".